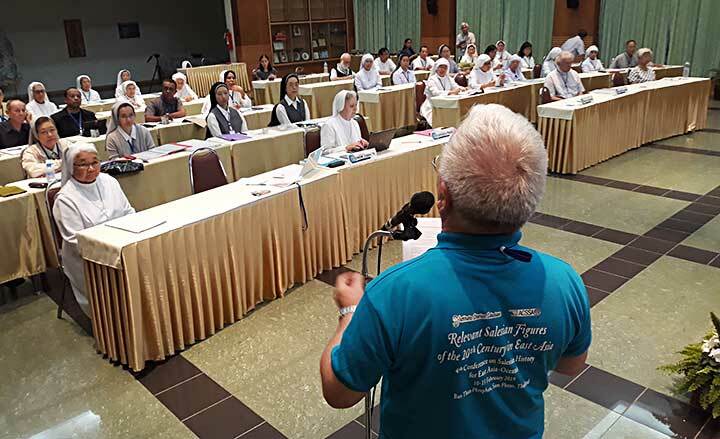 Sampran, Thailand, 11 February 2019 -- In the afternoon of 10 February (Sunday) the 47 participants in the 4th East Asia - Oceania Salesian History Conference in Sam Phran gathered for the opening ceremony with a prayer and motivating messages from the Rector Major and other Salesian Family superiors. In his message to the 4th ACSSA EAO Conference the Rector Major, Fr Angel F. Artime invites everyone thus: '...To know your past well is of capital importance, because the Salesian Charism has been growing in that background for the past (113 years) in your countries (in the EAO region). EAO Salesian Family Historians are looking at the profile of past Salesians. History is an essential part of our identity as a Congregation and as a Salesian Family today. As the GC28 is asking us to know the 'profile of the Salesians' - it is also essential to know the profile of the Salesians of the past, as well as the profile of the other member groups of the Salesian Family." 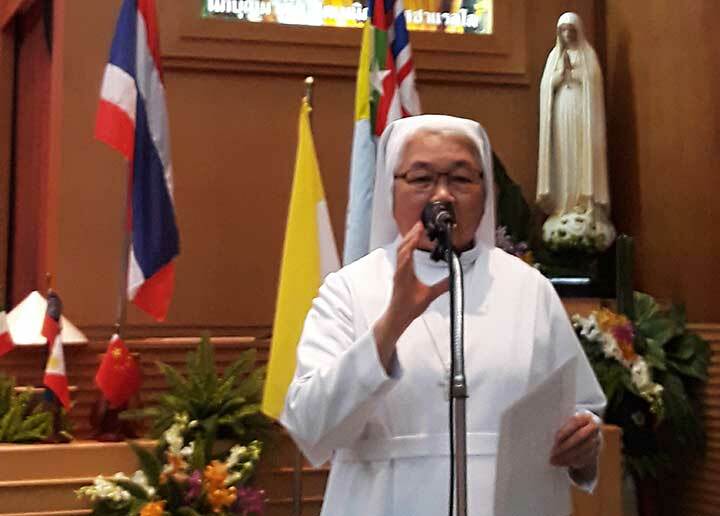 Then followed the messages from the FMA Mother General (read) and personal message from Fr Theparat Pitisant, SDB, provincial of Thailand-Cambodia-Laos and Sr. Agnes, FMA provincial of Thailand. 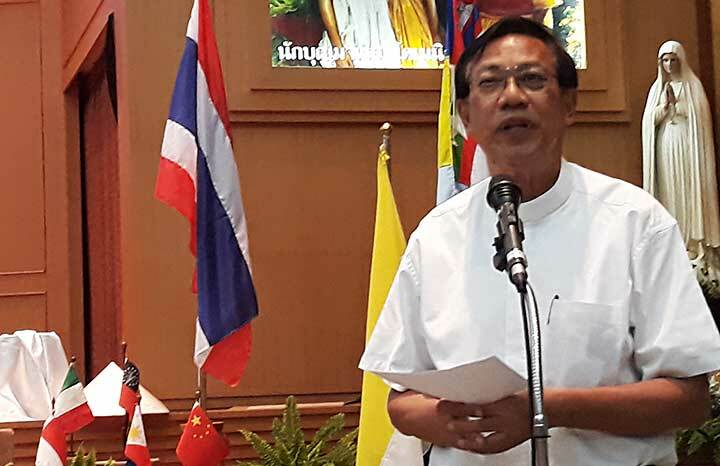 The EAO Regional Councillor, Fr.Klement, was the main celebrant at the opening Eucharist at which 13 SDB participants (EAO and ACSSA) from 10 EAO provinces concelebrated along with the THA (Thailand-Cambodia-Laos) Provincial Fr John Bosco Theparat Pitisant. At the Mass were all 47 participants coming from 8 different groups of the Salesian Family and 10 different EAO provinces. 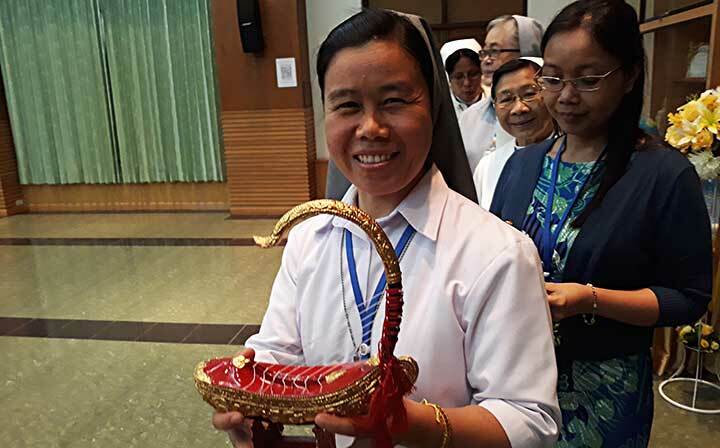 The homilist shared the gratitude for the effort of EAO Salesian historians, remembering some of them who are absent like Fr Henry Danieli - Thailand, who passed away in 2017 and some others were not able to join. 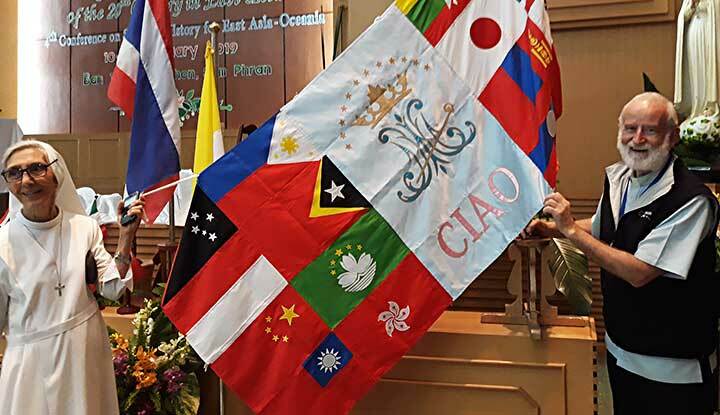 Also the incoming Centenary celebrations of Salesian presence in Australia (2023), Japan (2026), Thailand (2027) and Timor Leste (2027) offer a wonderful occasion for renewed attention to the research and writing of Salesian history in these provinces. After dinner came the presentation of all participants by groups from the same country with their specific symbols - Santo Nino from the Philippines, Hangul writing from Korea, first statue of Mary Help of Christians brought to Japan etc.